With the leaves changing and Halloween just around the corner, we’ve brought back a DD fall favorite: the REESE’S® Peanut Butter Square! 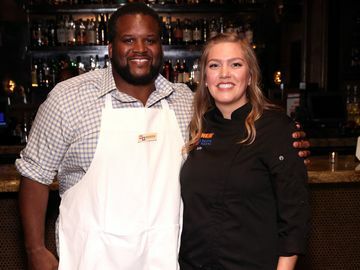 To celebrate, our own Chef Jeff has teamed up with REESE’S® Chef Darren to bring you three amazing recipes featuring the DDelicious donut. First up: REESE’S® Peanut Butter Square and Caramel Brownie Sandwich! 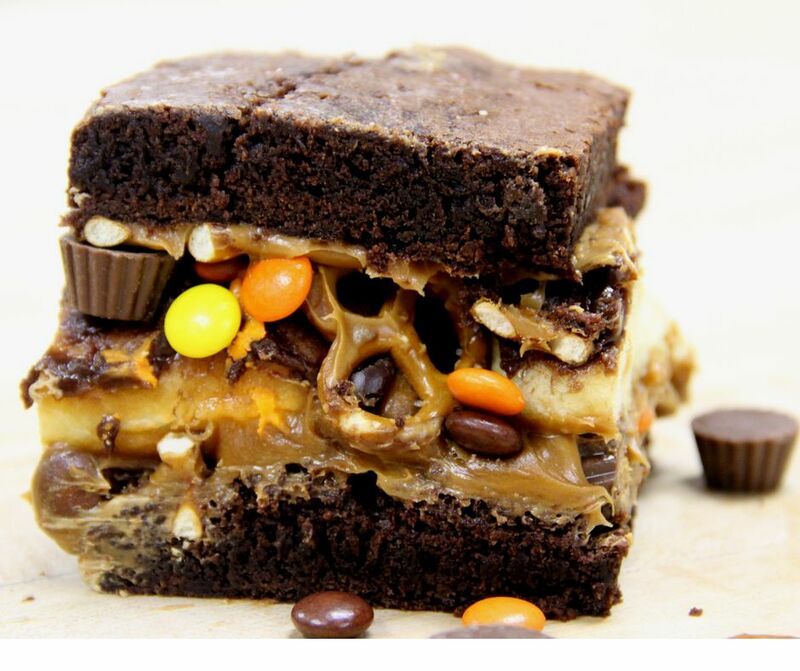 This decadent dessert features layers of brownies, caramel, pretzels and more, all surrounding a REESE’S® Peanut Butter Square. Check out the recipe below! 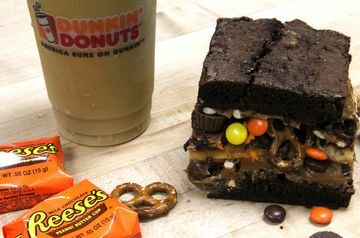 Enjoy the REESE’S® Peanut Butter Square and Caramel Brownie Sandwich with a Dunkin’ Donuts Original Blend Iced Coffee. Our classic brew’s subtle notes of caramel flavor complement this rich treat perfectly. Prepare the brownies according to box instructions and bake in a small sheet pan. Allow brownies to cool. Once cool, cut the sheet of brownies in half. Spread a layer of caramel frosting across the sheet of brownies. Add a layer of pretzels, REESE’S® Pieces and REESE’S® Minis. Top with 9 REESE’S® Peanut Butter Squares, icing side down. Spread another layer of caramel icing across the tops of the Squares. Lay the other half of the brownie on top and press down gently. 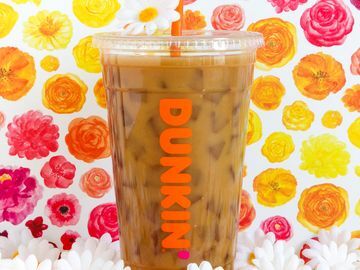 Cut into squares and serve alongside Dunkin’ Donuts Original Blend Iced Coffee. 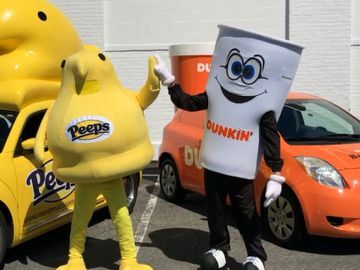 The REESE’S® Peanut Butter Square is available for a limited time only at Dunkin’ Donuts nationwide, so don’t miss your chance to try it! 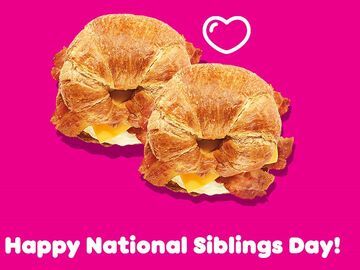 And be sure to share your layered creations on Facebook, Twitter, Instagram and Pinterest. Can’t get enough of our REESE’S® Peanut Butter Square recipes? Check back tomorrow for another recipe from Chef Jeff and Chef Darren!